Today The Dinner Dilemma is a year old! How exciting! In honor of the big day- and because snow just keeps falling (yes, we are in the middle of ANOTHER large winter storm. Seriously people, what is the deal? I really do feel like I am living at the North Pole. Next thing you know there will be a polar bear knocking at the kitchen door asking to borrow a cup of sugar!) I decided to try a recipe for Butterscotch Pudding with Rum Sauce. I have been dying to try it- but felt like I needed a reason because the recipe just looked too decadent to make without cause. The Dinner Dilemma’s birthday, coupled with coping with yet another major snowstorm, was the perfect excuse. Butterscotch Pudding with Rum Sauce would be mine! So, this morning I shopped for the ingredients and this afternoon I whipped up the pudding and threw together the sauce. I put them both together, took a bite and WOW! I may have to eat the entire batch. I may not share. They are that good. Seriously. The pudding is delicious; and the Rum Sauce is spectacular- the combination, divine. Just check me into the hospital now, because the diabetic coma is sure to follow…but it will have been completely worth it. I have been writing this blog for a year now and I have one issue: I don’t hear from you guys nearly as often as I’d like. I know that you are out there- last night alone over 600 of you read my post about becoming a food terrorist. Yet, the silence is deafening. Your assignment, should you choose to accept it, and I do hope you will, is to send me feedback and ideas. What do YOU want to eat? Make? Think about? How can I help? What works for you…what doesn’t? You get the idea. You can email me, or just comment on posts. Either way, I’d love it! 2. Add the sugar and salt and stir over medium heat until the mixture is smooth and begins to bubble. Cook for 3 to 5 minutes, or until thick. 3. Slowly stir in the cream. When the cream has been fully incorporated, stir in the milk, Scotch, rum and vanilla. Remove from the heat and set aside. 4. In a small bowl, whisk the egg, egg yolks, and cornstarch together until smooth. 5. Whisk 1 cup of the cream mixture slowly into the eggs to temper them. (this will prevent the eggs from curdling.) Add the tempered mixture back in the saucepan and whisk to combine. 6. Place the saucepan over medium-high heat and whisk constantly for 3 to 5 minutes. When the mixture begins to bubble, turn the heat to low and continue stirring as it thickens. 7. Remove the pan from the heat and pour the mixture through a fine-mesh strainer into a mixing bowl. 8. Cover with plastic wrap to prevent a skin from forming on the top and let cool to room temperature. Place pudding in refrigerator. 9. Divide the pudding among 10 small glasses or bowls and serve with 1 tablespoon of the rum sauce, and a sprinkle of sea salt. 1. Combine the brown sugar, corn syrup, cream and butter in a heavy medium saucepan. 2. Bring to a low boil over medium-high heat and cook for 10 minutes. 3. Remove from the heat and stir in the rum and vanilla. 4. Let cool to room temperature. Note: Sauce can be stored in the fridge for up to one month. Just reheat in the microwave or over a double-boiler. This entry was written by Caroline, posted on January 26, 2011 at 6:51 pm, filed under desserts. Bookmark the permalink. Follow any comments here with the RSS feed for this post. Post a comment or leave a trackback: Trackback URL. 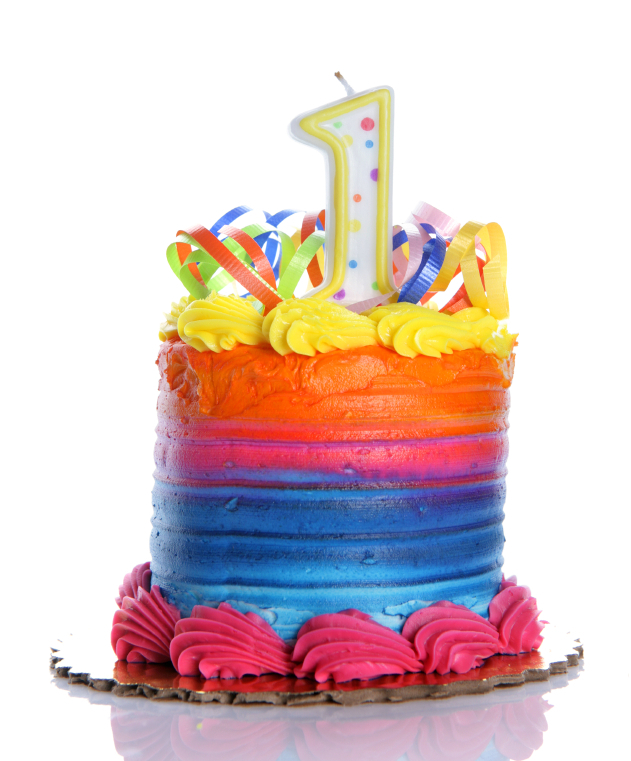 I love your blog and always look forward to reading about the amazing creations that each entry holds….Happy 1 year Birthday! You have inspired me to step up my game in the kitchen….I would like to know what kitchen knives you use and think are the best? I am ready to make an investment in a set of really good knives and would like your opinion. I have the Wusthof Classic Series- though there are several great brands out there. A good kitchen store, such as Williams-Sonoma, can set you up. Once you have good knives, be sure to keep them sharp by washing by hand and using a knife sharpener or a steel regularly. Hope that helps and thanks for reading! Happy Blog Birthday! You’ve done an awesome job! I love a window into your life through the culinary lens. 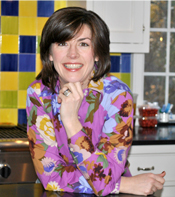 Thanks for sharing all the great recipes and stories. Cheers to a wonderfull year of great stories and delicious recipes! You are great. I love reading about your life and getting cooking ideas simultaneously. So handy! Everything I’ve made from this blog has been dee-licious! You have a very lucky family, whether or not they realize it!